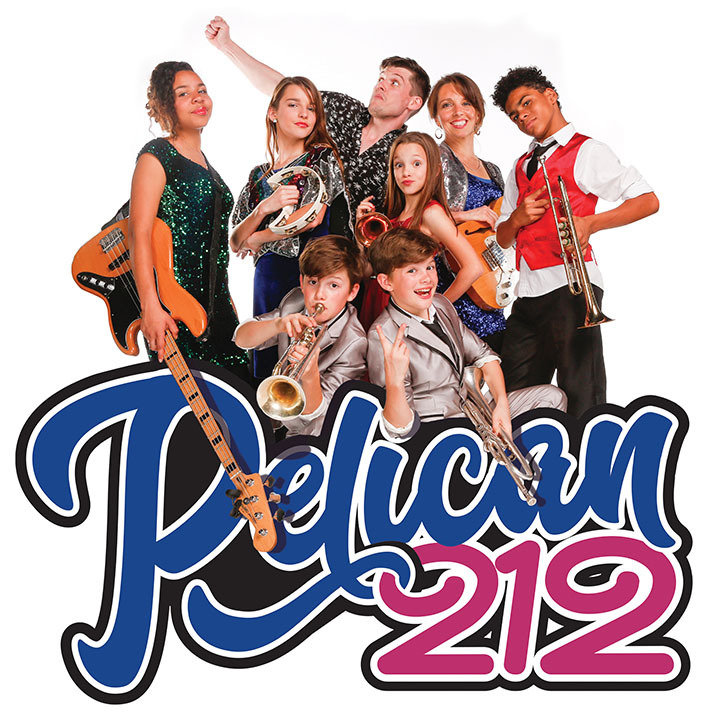 PELICAN 212 | Love Productions Inc.
Pelican 212 is a band of brothers and sisters that honed their skills busking on the sidewalks of Nashville, New Orleans and Pensacola performing cajun soul with the world’s shortest horn band featuring identical twin trumpet players. The band features seven of Linda and John Rees’ 10 children, ranging in age from 9 to big-sister and band conductor Katie Rees, who is in her early 30s. But none of the kids are afraid of the spotlight.